Thank your for choosing CJ Air Solutions! 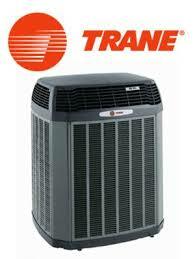 The Right AC Contractor for your home in Rowlett tx. Today with the increase in the demand for air conditioners, it is important to find a qualified air conditioning service and repair company. Find a company who will take the time to listen to your wants and needs and design a unique solution to fit your home or office. You are usually concerned regarding after sales, especially if the warranty period has expired. And if you’re residing in a busy cosmopolitan city, the task of finding a good air conditioning service company seems like a mountain in front of you. In this regard you can rely on a Rowlett air conditioning repair and service companies. They provide excellent after sales services and is very cost effective as well. 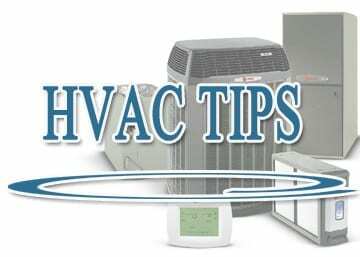 In view of the above it is not sufficient that you just choose any company that offers you a general service; in this way you may ruin your air conditioner and incur inherent losses. The service that you need in this regard is one that is qualitative and has a substantial degree of expertise. Now to attain your desired objective of finding a company and efficient service you would need to adhere to the basics from the very on start. First and foremost, you must lay stress on the experience factor while considering hiring an air conditioning service company. An experienced company will have crossed several hurdles and solved several many problems in the course of their service career, which a new service company might lack. On account of the experience they have gathered, they will be able to provide you with prompt and cost effective solutions; they also usually provide a wide range of services under one umbrella that will reduce your service charges greatly. They will also be able to tell you the exact nature of the problem and not beat around the bush; or else they would not have remained in business for so many years and catering to a large client base. Secondly, an experienced service company will be having experienced and efficient technicians and service engineers who are well paid. A newly formed company may not have the base or the leverage to pay good enough to employ qualified service personnel; with the result you will be jumping from one problem into the next. The simple reason being that the skills of qualified service personnel cannot be matched with whom who is not qualified. These qualified service personnel hold a great deal of expertise in their field and will handle your air condition with care and will do a good and complete job. Here at CJ Air We are the employees because AC is what we know. Thirdly, an experienced service company will always be at par with market rates with regards to costs and billings. They are not interested in shortcuts and fast gains; on the contrary they are more interested in providing quality services and superior products having a guarantee. A new comer in this regard will not be able to provide this type of after sales assurance and guarantee. They may try to lure you with discounts and cost-cuts; but don’t fall into their trap; it would be like being “penny wise and pound foolish”.